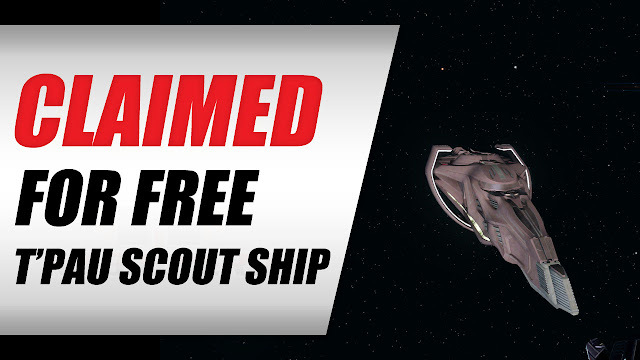 Star Trek Online 2019 • Claimed The Vulcan T'Pau Scout Ship T6 FREE! - KABALYERO - PLAY, BLOG & EARN! Home / 9th anniversary prize vouchers / omega molecule stabilization mission / omega particle / star trek / star trek online / star trek online 9th anniversary / sto / tier 6 starship / vulcan t'pau scout ship / Star Trek Online 2019 • Claimed The Vulcan T'Pau Scout Ship T6 FREE! Star Trek Online 2019 • Claimed The Vulcan T'Pau Scout Ship T6 FREE! Star Trek Online Vulcan T'Pau Scout Ship T6 claimed after 15 days of collecting 9th Anniversary Prize Vouchers and doing the two Mirror of Discovery missions. Everyday for 15 days, I would login to my Star Trek Online account and play Star Trek Online just to complete or do Q's daily anniversary mission, the Omega Molecule Stabilization, for the 40 9th Anniversary Prize Vouchers reward. I got 400 9th Anniversary Prize Vouchers by completing the two Mirror of Discovery missions, Para Pacem and Illusion of Communication. That left me with 600 9th Anniversary Prize Vouchers to collect by doing the daily Omega Mocule Stabilization mission from Q. After 15 day, I finally claimed the Vulcan T'Pau Scout Ship T6 and added it to my collection of Starships in Star Trek Online.